Looking for birdseed for your birdfeeder or interested in re-staining your deck? Prepare for your projects with a trip to a locally-owned hardware store. Does your outdoor living space need a bit of TLC? Whether you have a deck, patio, or balcony, a hardware store is the place to visit to purchase garden care items, paint, and barbecue equipment. DIY to your heart’s content at Connecticut’s best hardware stores! 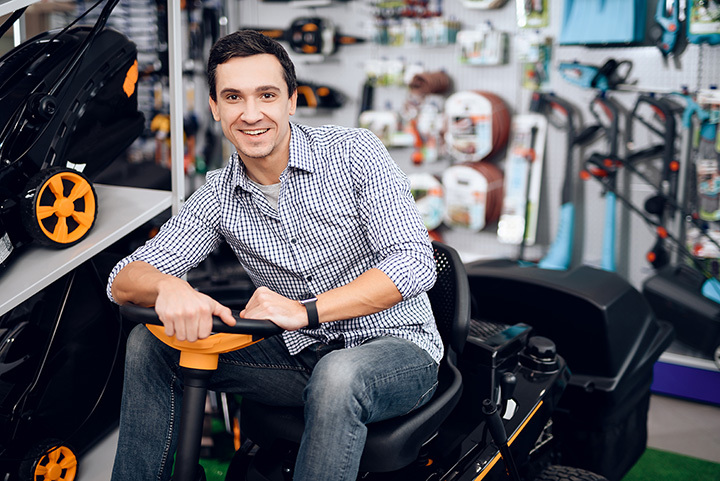 Enjoy high quality customer service at Stepney Hardware, where you can find tools, do-it-yourself help, lawn and garden care, paint, and other necessities for home projects. Prepare for your backyard barbecue with a fresh coat of paint on the deck and all of your grilling needs. Bozrah Hardware is a small but extremely well stocked hardware store in the small village of Bozrah. Having everything you need for your house, yard, and even car, Bozrah Hardware has every maintenance or DIY project covered. Also, staff take the time to remember customers who visit frequently, and are always willing to provide their expert advice on projects. Open since 1925, this hometown hardware store offers customers long-standing knowledge about home projects. Their staff and helpful website can provide numerous tips for everything from fixing a toilet to repairing driveway cracks. Monthly bargains are available to make your household projects even more wallet-friendly. Stock up on items for your pet, birdseed, or lawn and garden items at Fleming’s Feed. This locally owned spot includes a garden center too, so you can get your yard in tip-top shape in time for summer. Stony Hill Hardware (also called Bethel Handyman Supply) offers DIY-ers paint, landscaping equipment, plumbing needs, and power tools for any home project you can think of. The helpful staff here offers great tips and focuses on helping both male and female customers to get the job done. Stony Hill Hardware also has hard to find items for difficult or unusual maintenance projects. Swing by Newtown Hardware for all of your home repair needs. The friendly staff are able to guide you with their knowledge of all things handy. Search for the exact size of nuts, bolts, tools, and wood you need to complete your project. Enjoy the local corner store vibe at Poster Hardware while searching for houseware, hardware, and lawn care. At Poster Hardware, you’ll find paint, tools, electrical supplies, fireplace fixtures, and a key cutting service. Spruce up your home with a freshly painted trim or stop by for some tips. Hope Hardware and Plumbing is a locally owned corner shop with an excellent kitchen and bathroom showroom. They also have paint and tools to create a custom blended paint to match whatever you’d like. Lawn and garden care and cleaning items are also available. If you don’t have a tool to complete the job, Hope Hardware and Plumbing sells anything you could ever need. If you find a hole in your screen allowing in summertime pests, Star Hardware offers screen repair or can help to install a newly purchased screen into any door or window frame. Star Hardware also has a wide array of outdoor living goods including pool care, barbecue items, and comfortable outdoor lounge chairs. Stop by Keough’s if you are looking for a pristine lawn for lounging, sports, and activities this summer. Keough’s sells push lawn mowers, lawn fertilizers, grass seed, and other gardening needs. If you’d like to watch birds from your home, Keough’s stocks bird seed and feeders to attract specific bird species.